Luther on 2nd Easter Sunday | "Northern Crossings"
I told the folks on Sunday I am through with picking on Thomas on the second Easter Sunday. 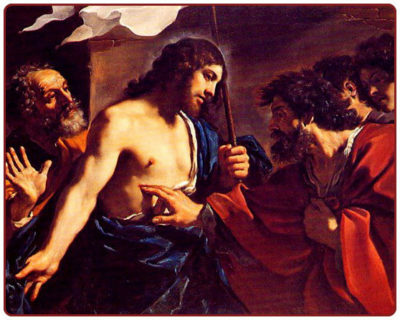 Doubting Thomas, as we like to call him was there when Jesus came and granted them peace. I think that as an example of faithfulness, he may be lacking, but they all were. So are we. As usual Luther gives a good perspective on the appearance of Jesus to Thomas in the upper room. less than the Jews recognized Him. The Pope in Kenya – Tribalism and Corruption. A glimpse at life for our Kenyan Friends. Thank you for this message from Luther!